In addition to writing my blog, I consult brands in the beauty and wellness sector, but it is the first time that I collaborate with a relatively new brand on a project that is consciously meant to benefit you, beauty consumer. 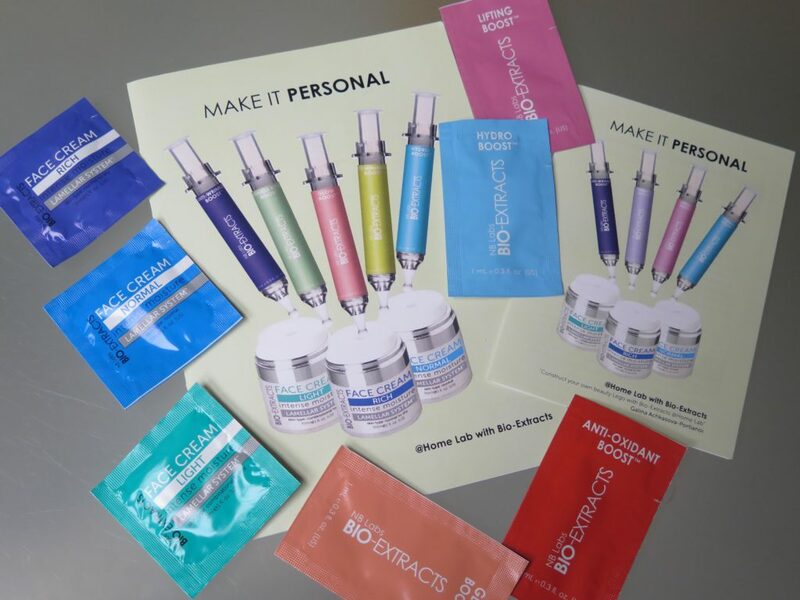 I was introduced to Bio- Extracts, a British-based, vegan beauty brand, founded by Marina Shcherbinina (she is also the founder of premier beauty brand NuBo) in the summer and recently did a detailed review of the products, but now Marina and I are going a step further. I often lament beauty brands that fail to engage with consumer, by ignoring the feedback or failing to provide helpful customer service. When it comes to skincare the choices we face might be plenty, if not overwhelming, but making the right choice for yourself isn’t easy, when you don’t want to be swayed by the marketing spiel and are looking for the products that will work for your skin and address your needs. Marina and I created a sample set, which comprises three cream and four serums samples, that come accompanied by the brochure, that gives you information about the brand and products. I have several sets to share with women (and men, if you guys are interested) around the world, so this is not limited to UK residents only. After you receive and try the samples, we want to hear your thoughts on the brand – what do you like? Is there anything that can be improved? What do you want or need from your skincare routine? What matters to you when it comes to your daily skincare, whether you are a young, middle-aged or mature woman or man? If this is something that is of interest to you, do get in touch with me – via social media or e-mail (galina@galinka.co.uk) and I will post you a sample set. Once you receive it and try the products, drop me or Bio-Extracts team a line (you will find the details in the brochure) or share your experience with us on social media. The main idea is to express your honest opinion or constructive criticism, in order for the change to happen, as it is through open dialogue that we all learn. To find out more about Bio-Extracts, please click on the link below, to take you to the brand’s website.